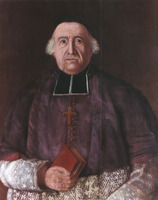 ROBERT, ANTOINE-BERNARDIN (baptized Antoine), Roman Catholic priest, professor, educational administrator, and vicar general; b. 7 Feb. 1757 in La Prairie (Que. ), son of Pierre Robert, dit Lapommeraie, and Marie Paquet; d. 11 Jan. 1826 at the Hôpital Général of Quebec and was buried two days later in the chapel of the Séminaire de Québec. 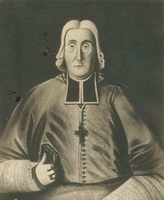 Antoine-Bernardin Robert studied first at the Collège Saint-Raphaël in Montreal from 1769 to 1775, and then continued at the Séminaire de Quebec until his ordination by Bishop Jean-Olivier Briand* on 20 Oct. 1782. Following a practice necessitated by the scarcity of teachers, the seminary called upon his services in 1780, even though he was still only a student. Starting as regent of the third form (Method), Robert followed his pupils all the way up through the sixth form (Rhetoric). Robert was admitted as a member of the community of the Séminaire de Québec on 13 Aug. 1787, along with Edmund Burke*, and both joined the seminary’s council on 22 November. He again became prefect of studies at the Petit Séminaire and in 1790 succeeded Burke in the philosophy and mathematics classes. Appointed bursar in the seminary early in May 1795, on the 30th Robert was elected superior and he held the two offices alternately until 1816. Despite the deplorable state of his health he took on the direction of the Petit Séminaire for a final term from 1817 till 1820, and he ended his career as first assistant to the superior. 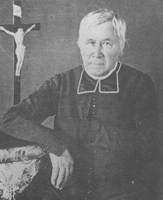 He had also been made vicar general to Bishop Joseph-Octave Plessis, who had honoured him with this office on 13 Jan. 1813. Robert had a profound influence on the Petit Séminaire de Québec, particularly on the quality of the teaching. 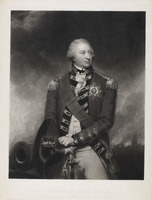 He apparently introduced the curriculum of the royal military schools that had been founded in France in 1776, as well as the manuals prepared for them by Charles Batteux, a disciple of the noted educationalist Charles Rollin. Under the title “Plan d’éducation du séminaire de Québec” he left a detailed description of this program as applied to the first- and second-year classes (Latin Elements and Belles-Lettres) in 1790. In these forms the pupils learned to master Latin step by step through studying grammar, literary appreciation, translation, composition, and versification. Each professor dictated his lectures, which were in Latin but contained abundant quotations from the best French writers of the 17th and 18th centuries. During his term as superior Robert applied himself, with the help of his confrères Jérôme Demers* and Antoine Parant*, to filling gaps in the 1790 program by introducing such new subjects as French grammar, English, history, and geography. Robert above all had a scientific bent. His obituary in the Quebec Gazette on 12 Jan. 1826 observed: “Endowed with a great genius for the exact sciences, M. Robert directed his talents with brilliant success to the different branches of Philosophy and mathematics which he taught in this institution.” His numerous manuscript treatises and his collections of notes attest to the breadth of his knowledge and to his predilection for astronomy. The value of his courses may legitimately be judged by the memorable oral defence presented in public on 30 April 1792. 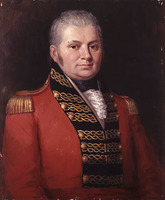 Five of his pupils had the honour of defending 63 propositions in mathematics and physics in the presence of Prince Edward* Augustus, Lieutenant Governor Alured Clarke of Lower Canada, Lieutenant Governor John Graves Simcoe* of Upper Canada, garrison officers, and a large number of eminent people. The students rose to the occasion. On 3 May the Quebec Gazette drew attention to “the satisfactory manner in which these young Gentlemen” answered all the questions put to them, after only eight months’ work, at that. Antoine-Bernardin Robert was the worthy successor to his colleagues Thomas-Laurent Bédard*, Charles Chauveaux, and Edmund Burke. The four educators merit recognition for having endowed the Petit Séminaire de Québec with a genuine course in pure and applied mathematics as early as the 18th century. When new duties forced Robert to give up the office of professor, the teaching of scientific subjects at Quebec was only slightly inferior to that in the best schools in France. AAQ, 12 A; 210 A. ANQ-M, CE1-2, 8 févr. 1757. ASQ, mss, 7,12,13, 432; mss-m, 134, 148,151,185; Polygraphie, XXXVIII; Séminaire, 3, no.5a; 5, no.67; 92, nos.2–6, 8; 178, no.2; Séminaire de Québec, thèses, 1775–1815. Quebec Gazette, 3 May 1792, 12 Jan. 1826. Le séminaire de Québec: documents et biographies, Honorius Provost, édit. (Québec, 1964). Tanguay, Répertoire (1893). Claude Galarneau, Les collèges classiques au Canada français (1620–1970) (Montréal, 1978). Marc Lebel et al., Aspects de l’enseignement au petit séminaire de Québec (1765–1945) (Québec, 1968). Noël Baillargeon, “ROBERT, ANTOINE-BERNARDIN,” in Dictionary of Canadian Biography, vol. 6, University of Toronto/Université Laval, 2003–, accessed April 19, 2019, http://www.biographi.ca/en/bio/robert_antoine_bernardin_6E.html.